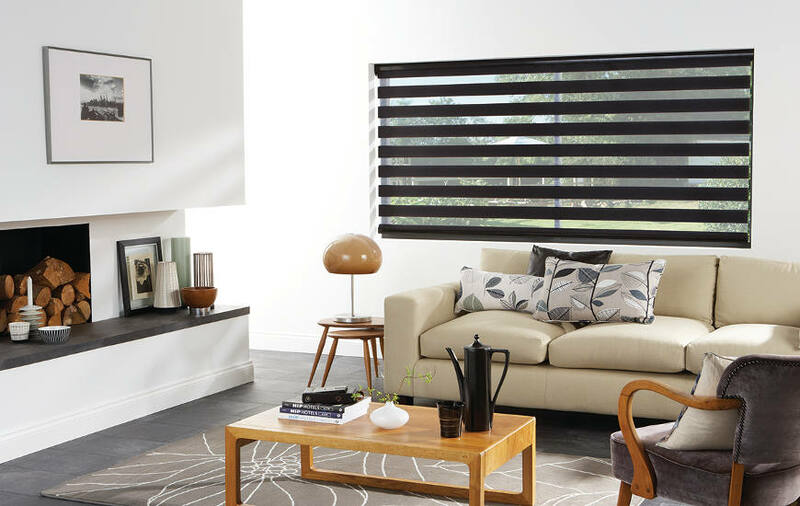 Electric blinds, motorised blinds, powered blinds – call them what you like but they are fast becoming the must have accessory in the home. With our expertise you can be sure to explore all the possibilities when requiring electric blinds and our experience when working on home automation systems with leading brands such as Lonone, Control4, Crestron and TaHoma you can be sure to receive the best advise. Home automation systems are at the forefront of electric blinds and awnings in the home and as motorisation becomes more reliable it is also more affordable. Should you require electric blinds for your bifold doors, roof lantern or just about any window or door we have systems that are simple to have installed, simple to maintain and simple to operate. 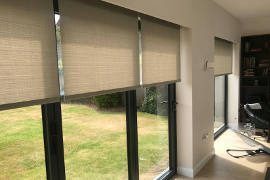 Whatever the look, size or style, we have a motorised blind to suit you and your home. 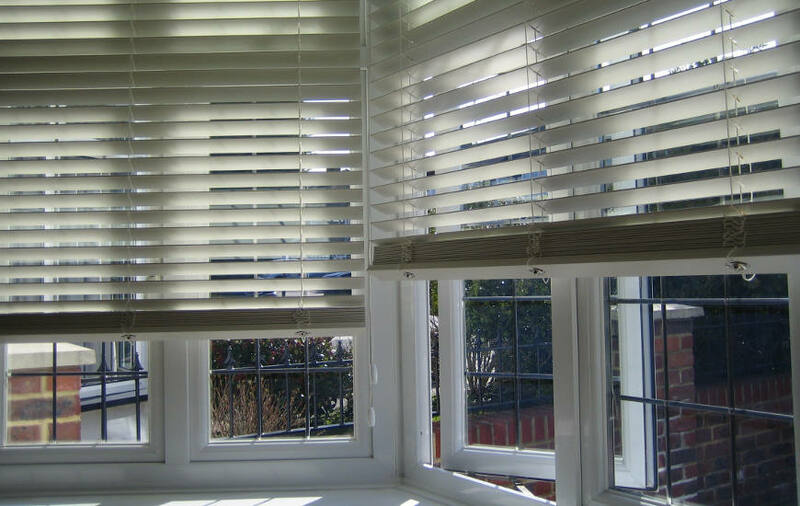 Powered blinds can help control your home’s temperature and privacy, as well as enhancing your comfort and security. Explore the possibilities and surprise yourself. 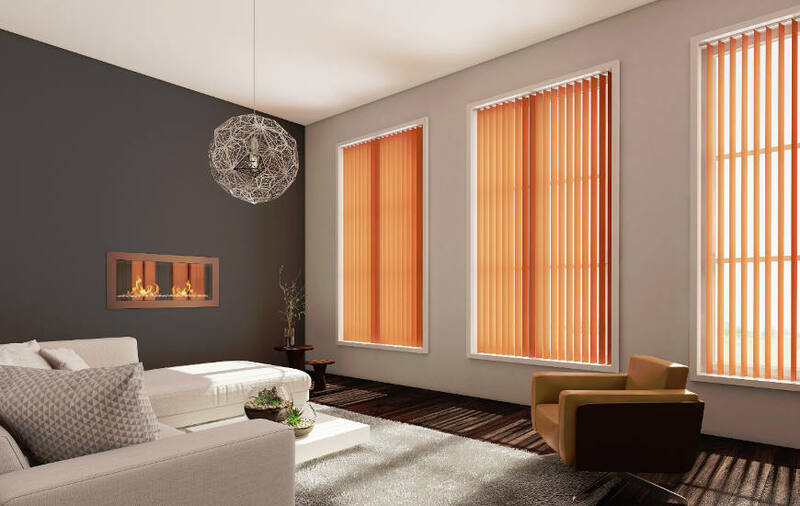 If you are interested in any of our blinds, do not hesitate to get in touch with us today. Imagine a smart system so easy to use, affordable and can control your home, well stop imagining as the Somfy TaHoma smart home is here. Somfy Smart Home puts you in control, makes your life easier, more comfortable and gives you peace of mind, wherever your are. Monitor and operate blinds, curtains, lights, electrical equipment, heating, garage doors and gates with your smartphone or tablet. You can adjust almost everything with the Somfy Smart Home System to accommodate your personal preferences and you can monitor and operate it from anywhere in the world. Keep an eye on your home using cameras and movement detectors to give peace of mind. Somfy TaHoma is a smart box at the heart of your Smart Home. It links you to your home via the smart TaHoma app. Somfy Smart Home solutions are extremely easy to use and can be installed with very little trouble. You can add products whenever it suits your needs or your budget. Somfy Smart Home gets the most from your home with the least possible effort. 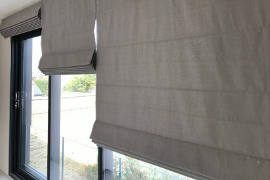 Practical, stylish and versatile enough for every window in the home, electric roller blinds are our most popular automated system and with a vast array of fabrics and finishes, we can produce stylish blinds that take up the minimal amount of space and control temperature and privacy at the touch of a button. 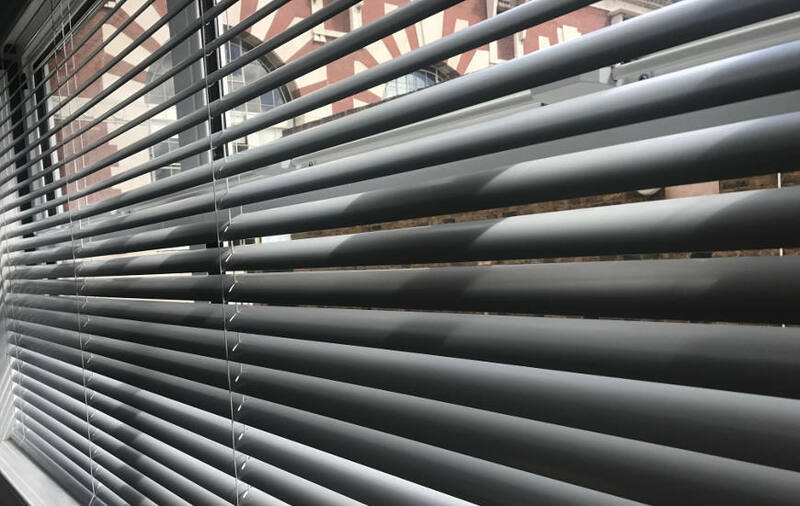 Slim on the eye, motorised Pleated blinds have the contemporary feel of Venetian blinds with the added benefit of pleating back tight to create a slim look. When combined with Duette fabrics the insulating double fabric layer will help maintain a comfortable room temperature all year round while our palettes and sheers will offer a lighter translucency to your windows. 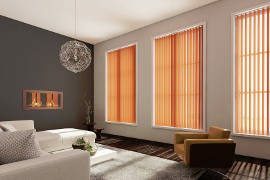 Electric Vertical blinds are ideal window and door coverings and a better option for large glass walls and bi fold doors as they can be produced up to 6 meters wide. 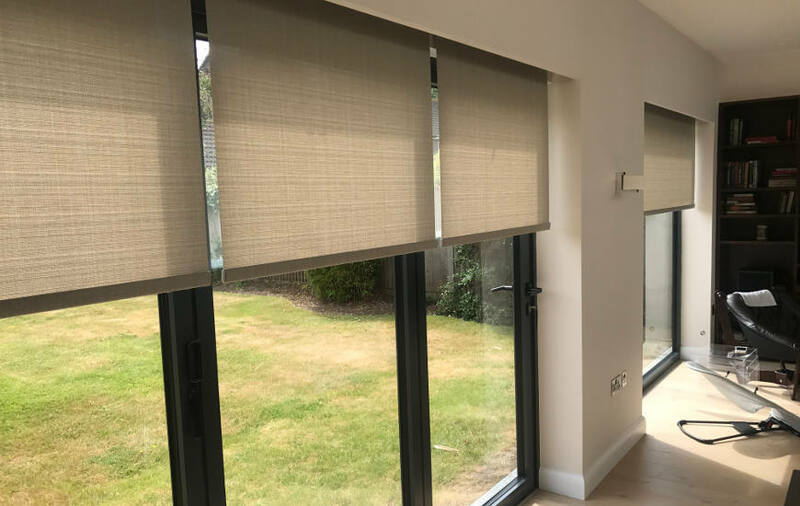 From a decorative perspective the Vertical blind can become a feature wall providing a colorful presence, whereas from a functional point they are suitable for filtering and diverting heat and light. 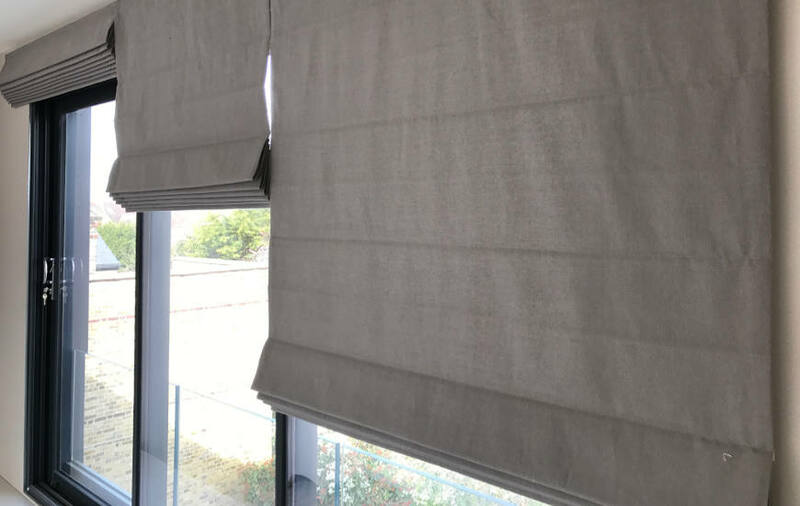 Operated at the touch of a button, our Motorised Vertical blinds will rotate and draw to either one side or split centrally like a pair of curtains. So Simple. Adding style to windows, our range of Electirc Wood Venetian blinds are a real thing of beauty. 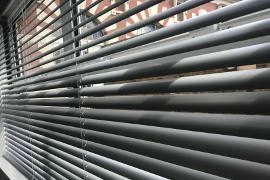 The warmth of wood combined with the simplest of operations allows you to rotate the slats to the finest of adjustments and when required, raise the blinds fully. Beautiful in looks and quality in style, Wood blinds work well throughout the home. 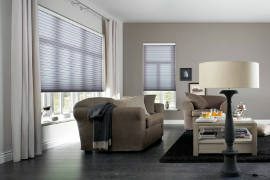 The awkwardness of Apex windows can sometimes be a head scratcher, however our specialist Apex window blinds and motorized Apex blinds are a real winner. Produced from a pleated fabric, our blinds are an elegant way to dress those tricky window shapes. Roof lanterns are an incredibly popular alternative to conservatories in modern times and provide an abundance of light into our living areas, however they still offer a few problems for sunlight and heat. Our electric roof lantern and skylight blinds give solutions to control light, glare and privacy where required and when combined with our automatic sensors they can also provide protection even when your not at home. 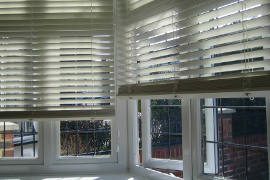 As with our Wooden blinds, our electrically operated Venetian blinds are available in aluminium. 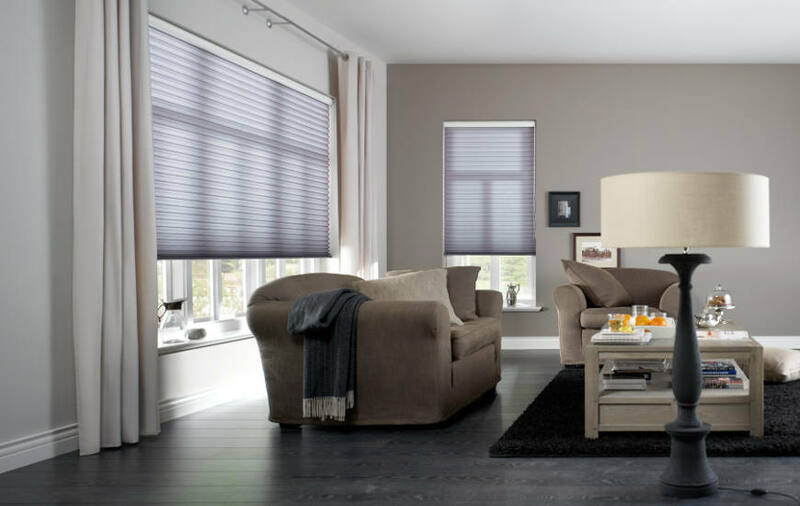 Colours include pastels, textures and wood effect giving a choice to compliment any décor and with various automatic options your blinds can almost operate themselves. With elegance in every detail, our inspiring electric Roman blinds brings warmth and life to any room in the home. We offer an ever changing collection of fabric, or as an alternative we offer a “Make up” service if you prefer to use your own collection. With the ever-increasing awareness of solar gain and protection against UV, our patio and sun awnings are the perfect finishing touch to enhance and protect you; your belongings and heat gain within your home. Best suited for large patio and decking areas as our awnings are produced up to 18 meters wide giving total protection. Electric awnings offer more than just good looks.